EAA Airventure Oshkosh coming up fast. Yesterday, we started counting down the best moments of Oshkosh 2014 in preparation for Oshkosh 2015. Today we reveal our top five memories of last year’s premier aviation event. What was your favorite moment? Let us know on Facebook or Twitter. Ford gave Airventure 2014 attendees an opportunity to spend five minutes inside a meticulous simulation of the world’s most advanced jet aircraft — the F-35 Lightning. The line never let up throughout the weekend, and anyone who walked by the Ford tent was treated to deafening roars from the simulator’s ample supply of speakers. It. Was. Awesome. Lycoming celebrated its 85th anniversary in 2014. 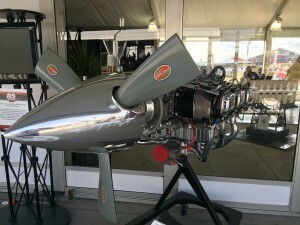 After nearly a century in business, the firm had collected some true gems of aviation memorabilia, many of which were on display at Oshkosh. The coolest part? 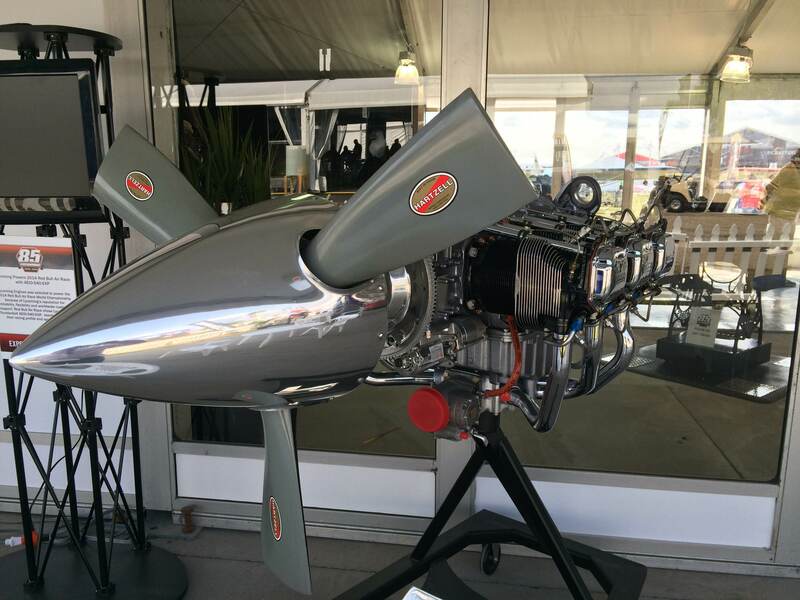 Tracing the evolution of their iconic engine’s from vintage powerhouses to modern marvels. 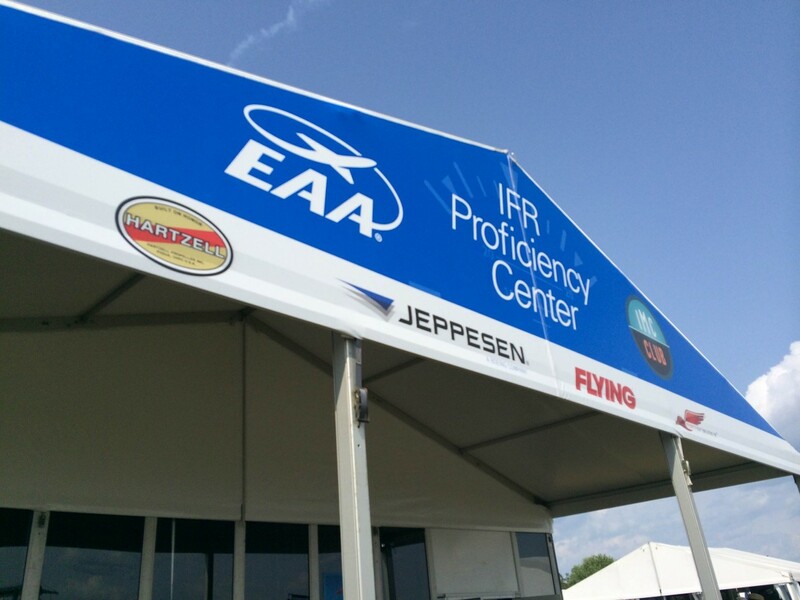 Hartzell teamed up with some of general aviation’s biggest names to create the EAA/IMC Club IFR Proficiency Center. It was a unique opportunity to engage with experts of instrument flying, get a taste IMC Club meetings and test your knowledge of instrument flying. The center featured daily Tech Talks from Jeppesen’s “dream team” as well as a fleet of eight Redbird advanced flight simulators. This invite-only event returned in force last year. The movers and shakers of the aviation industry kicked back and chatted while sampling Wisconsin’s most famous delicacy — and no, we don’t mean cheese. One lucky raffle winner even took home a vintage Hartzell propeller. Everywhere you went at Oshkosh 2014, people were talking about the Thunderbirds. One of the most interesting parts of the week was watching word get around that the airshow spectator-line would be pushed back to accommodate the massive decibels generated by the Thunderbirds. At most events this would be a disappointment. At Oshkosh the news only made the crowd more excited. It goes without saying their performance was incredible.